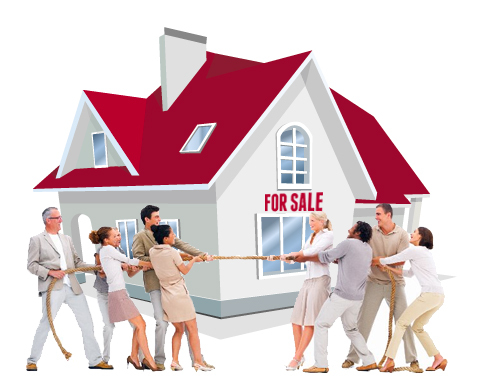 House price bidding wars - a familiar story? Getting into a bidding war is something that can happen to the best of us when we’ve seen our dream home – but what happens if you’re having to pay over the asking price? Our clients were married in their early 30s, with joint earnings of £50,000 per year. They had no children and were living with parents to enable them to save for a deposit for their first property. They found a property they liked in Wythenshawe, Manchester. Wythenshawe is becoming a desirable area; according to recent statistics, properties in Wythenshawe currently have the highest price increases outside London. The property they wanted to buy was on the market via a local estate agent for £145,000. Our clients offered £ 138,000 for the property but soon found themselves in a bidding war which eventually led to them having an offer of £153,000 accepted – some £8,000 over the original asking price. Manchester Mortgages applied for a 90% mortgage on the property ( £ 137,700 ) through a Building Society offering a two year fixed rate of 2.45% with no arrangement fees and a free standard valuation. The valuer from the lender valued the property at the original asking price of £145,000. The maximum lenders will lend is based on the purchase price or valuation whichever is the lower – in this case the valuation was lower at £145,000 and therefore the maximum mortgage offered was £130,500. Therefore in order to complete the purchase our clients would have to increase their deposit to £22,500 – money they simply did not have – and they were reluctant to pay a surplus of £8,000 over the lenders’ valuation. Manchester Mortgages obtained a copy of the £145,000 valuation from the lender which was given to the clients. We advised them to show the valuation to the estate agent and vendor and ask them to accept a reduced offer of £145,000. The vendor saw sense and reduced the asking price to £145,000 which allowed our clients to proceed with the purchase. Not only did our clients get the property at the right price of £145,000 but they also saved £ 800 on the deposit required, another £160 on stamp duty and their mortgage payment was reduced by a further £25 per month ( £ 600 over the next 2 years ) – these savings being based on the £153,000 offer figure. 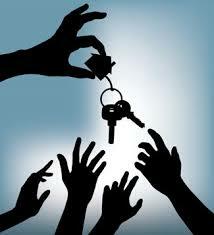 Our clients now own their property in Wythenshawe and no longer have to live with their relatives. When purchasing a property with a mortgage it is not the estate agent, vendor or purchaser who decides what the house is worth – it is the lenders’ valuer. Of course if you are buying a property with your own money for cash you can pay whatever you wish above the asking price – but buyer beware as you may end up over paying ! Manchester Mortgages deal with this and many other types of issue on a daily basis. We have the experience to sort out any mortgage- related problem for our clients. All mortgages have some sort of twist to them – we know because we deal with them every day. Whatever your issue might be, contact Manchester Mortgages on 0161 706 0242 to discuss your requirements or complete and send the Contact Us Form and let us do the hard work to solve your mortgage problems.